Societe Generale will launch a 1 billion ringgit ($300 million) Islamic bond program in Malaysia, two sources familiar with the deal told Reuters, becoming the second major European bank to issue sukuk and the first to do so in Asia. SocGen, France’s second-largest listed bank, is planning to issue the first tranche of the sukuk by the year-end, said one of the sources, who declined to be identified as he was not authorized to speak on the matter. Western banks looking to raise capital are increasingly drawn to the Islamic bond market as the cost of credit is lower than in conventional markets. The Middle East unit of HSBC Holdings tapped the market in 2011 with a five-year $500 million issuance. The growing popularity of Islamic debt as a choice of investment among Muslim banks and funds is also buoying the outlook for sukuk, as Islamic bonds are known. Issuers of sukuk do not pay interest, a practice forbidden in Islam. Instead, buyers of sukuk become co-owners of the debt and receive annual profits from the issuer. Global sukuk issuance grew 54 percent to $131.2 billion last year, with Malaysia accounting for 74 percent of primary market issuances. Saudi Arabia followed with a 8 percent market share, and the United Arab Emirates with 4.7 percent and Indonesia with 4.6 percent, according to KFH Research, an Islamic investment research firm. Malaysia has emerged as the world’s No.1 market for primary sukuk issuances, with its strong regulatory framework, low taxes and geographical proximity to expanding Asian wealth. The Malaysian central bank last month implemented new laws to stress compliance with Islamic laws, introducing higher penalties and making sharia advisors legally liable for the first time. Hong Leong Islamic Bank is advising the SocGen deal, according to the source. SocGen will soon seek approval for its issuance plans from Malaysia’s Securities Commission, having already received the green light to become a bond issuer from the central bank, the source said. The central bank did not immediately respond to a request for comment, while a Hong Kong-based spokesperson for SocGen declined to comment. The funds raised will go towards buying assets in Dubai, where SocGen’s Middle East private banking operations are headquartered, said the source. “Everything is in place,” the source said. 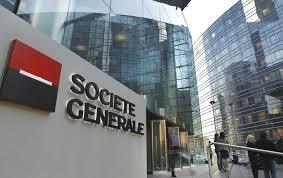 The issuance will help SocGen diversify its funding sources while benefiting from attractive premiums. In the past year, three-year AAA-rated sukuk have offered yields of 3.65 to 3.72 percent, while conventional bonds with a comparable tenor and rating have yielded 3.69 to 3.76 percent. The lower yield range for sukuk translates into higher savings for issuers. SocGen’s sukuk in Malaysia will carry tenors of up to 15 years, according to the second source. “For European countries that have yet to develop a regulatory framework for Islamic finance, Malaysia is an attractive destination,” said Baljeet Kaur Grewal, managing director and vice chairman of KFH Research. The large number of industry players in Malaysia, including foreign institutions mandated to invest in Islamic instruments, creates a ready market with significant demand for sukuk, said Kaur. Other foreign companies such as the National Bank of Abu Dhabi NBAD.AD and Singapore-based palm oil producer Golden Agri-Resources Ltd have in the past year tapped Malaysia’s sukuk market. In the first seven months of this year, issuers in Malaysia raised 19.8 billion ringgit through 47 sukuk, according to Thomson Reuters data. That was a decline of nearly a third from a year earlier due to uncertainties surrounding a May election in Malaysia and a dip in external demand. However, demand from Malaysia’s public institutional funds such as the Employees Provident Fund and Lembaga Tabung Haji has remained resilient.